, principal organist of the chapel royaj at Naples, was not only admired and respected by his contemporaries, but his memory still continues to be held in reverence by every professor that is acquainted with his works. He was born in 1689. 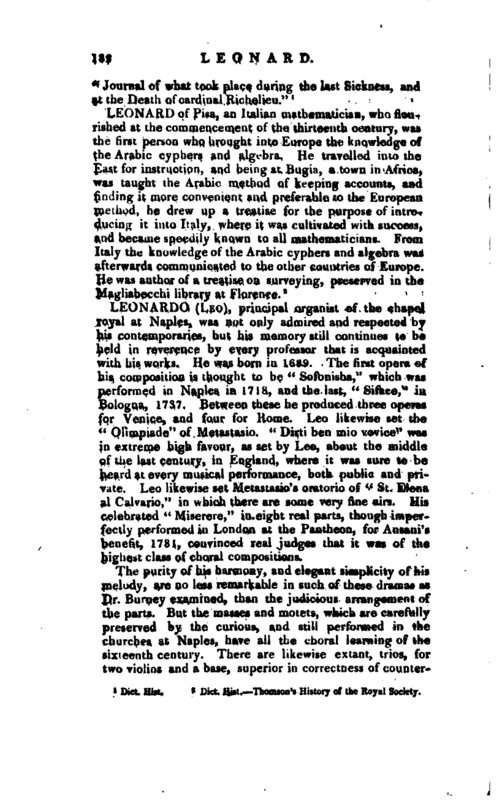 The first opera of his composition is thought to be “Sofonisba,” which was performed in Naples in 1718, and the last, “Siface,” in Bologna, 1737. Between these he produced three operas for Venice, and four for Rome. 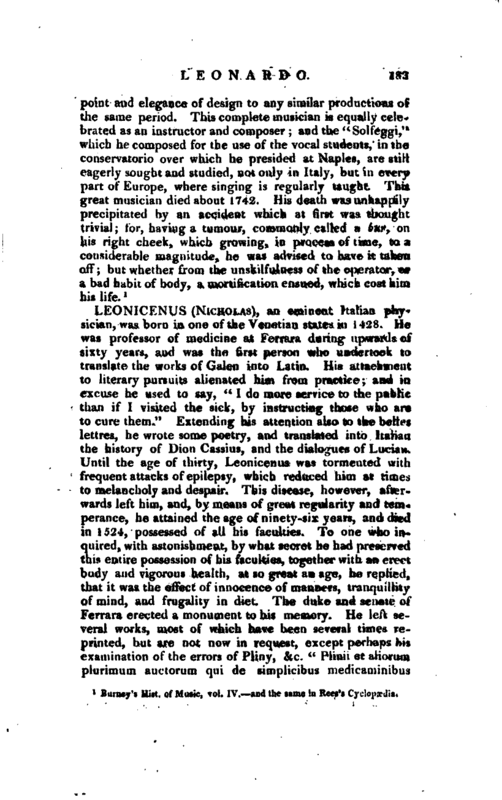 Leo likewise set the “Olimpiade” of Metastasio. “Dirti ben mio vovice” was in extreme high favour, as set by Leo, about the middle of the last century, in England, where it was sure to be heard at every musical performance, both public and private. Leo likewise set Metastasio‘ s oratorio of “St. Elena al Calvario,” in which there are some very fine airs. His celebrated “Miserere,” in eight real parts, though imperfectly performed in London at the Pantheon, for Ansani’s benefit, 1781, convinced real judges that it was of the highest class of choral compositions. Barney’s Hist, of Music, vol. IV. aud the same in Rees’s Cyclopædia.